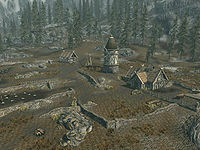 Pelagia Farm is a large farm south of Whiterun owned by Severio Pelagia. 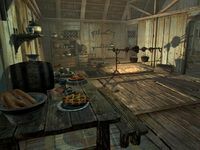 It is a sprawling farm, with a small single story building that is maintained by Nimriel and Gloth, who live at the farm, while Severio lives in his house in Whiterun. This page was last modified on 7 January 2019, at 04:30.